Acura is set to return to the Sundance Film Festival in 2019 with an immersive experience at Acura Festival Village. The brand's footprint at the Sundance Film Festival will feature interviews with leading actors, writers and directors at the IMDb Studio at Acura Festival Village, and with more than 100 Acura MDXs filling the streets of Park City, Utah as part of Acura's ninth year as a Sundance Institute partner. For 2019, Acura is collaborating with IMDb at the Festival for the first time, where filmmaker Kevin Smith will return to host on-camera interviews with leading actors, writers and directors that will serve as the cornerstone of IMDb's Sundance Film Festival coverage. As a Presenting Sponsor of the 2019 Sundance Film Festival, the MDX luxury SUV, equipped with the brand's available Super Handling All Wheel Drive™ (SH-AWD®) signature technology, will serve as official vehicle of the 2019 Sundance Film Festival. The more than 100 Acura MDXs equipped with Advance and Entertainment packages will transport filmmakers, talent, festival jurors and Sundance Institute staff around the Festival. 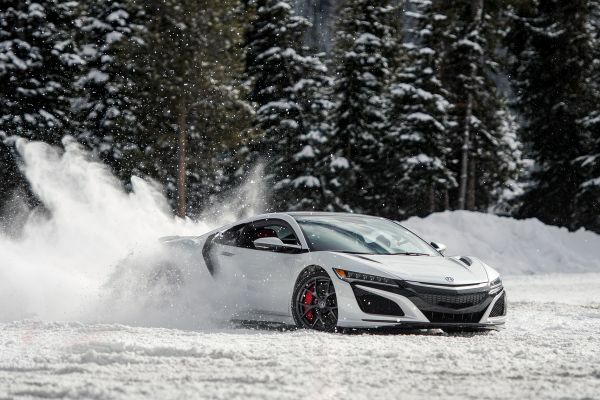 In addition, Acura will feature a full line vehicle display throughout Park City, including the Acura NSX supercar, to highlight the brand's sponsorship and showcase Acura's Precision Crafted Performance brand DNA. Acura Festival Village features an interactive winter wonderland photobooth where guests can capture festival memories. At the Acura Stage, guests will be treated to live music, DJs and refreshments from 4 p.m. to 6 p.m. daily, courtesy of official Festival sponsor Stella Artois. Celebrities promoting their films and festival-goers will experience multiple indoor and outdoor venues, digital installations and enjoy hot beverages including coffee, espresso drinks and hot chocolate from 12 p.m. to 6 p.m., courtesy of Acura. Acura Festival Village will be located on Swede Alley at 5th St. (480 Swede Alley). Public hours: Friday, January 25 through Saturday, February 2 from 12 p.m. to 6 p.m. (subject to change).